With the ADI 2015 Spirits Conference Vendor Expo kicking off today, and the Craft Brewers Conference just around the corner, we wanted to re-post our blog from last year, ‘What to Expect When You’re Expecting a Beer Show’, to help give you a resource to prepare for any upcoming brewing tradeshow you’re heading too. Be sure to visit MBEC at the ADI 2015 Spirits Conference Vendor expo today and tomorrow at Booth 534, and the Craft Brewers Conference April 15-17th at Booth 1801! In one week thousands of craft beer breweries, businesses, and fans will flock to Denver, CO for the annual Craft Brewers Conference and BrewExpo America™. This is a must go to event for pretty much anyone associated with the craft beer industry, especially for emerging breweries. Now, as exciting as craft shows can be, and especially the Craft Brewers Conference, it can also be quite overwhelming for first time goers. Where should I start? What should I focus on? Your mind can feel pulled in a million directions the second you walk into the convention center. SO, have no fear, MBEC is here! We are here to provide 5 key points to help anyone, not just new comers, on how to navigate the Craft Brewers Conference! For centuries people have indulged in the grand beverage known as beer, and beer has gotten a bad reputation over the years. Well, no more to that thinking, feel free to knock back a cold one guilt free, because beer has many health benefits that may surprise you! Beer is loaded with minerals, anti-oxidants, and several other components that can lower your heart disease risk, improve brain health, help your immune system, in addition to several other benefits. In this blog we cover for you the first 6, out of 12, surprising health benefits of beer, so read on because been knowledge is power! Based on a study performed in Finland, for each bottle of beer drank by men daily, their risk of developing kidney stones lowered by 40%. Why? Well there is still speculation for the exact cause/effect relation, but one thought is that the water content in beer helps maintain hydration, as well as hops providing a slower release of calcium from bone, which can be reabsorbed as stones in the kidneys. Beer may not make you Wolverine, but several research institutes and facilities, including Tufts University, found that those who had 1 or 2 drinks daily had higher bone density. Beer contains high levels of silicon, which aids bone health. Before you go drowning in beer to make your bones stronger, having more than 2 drinks daily has been linked to an increased risk of fractures – so stick to 1 or 2! Beer may not make you a genius (if only! 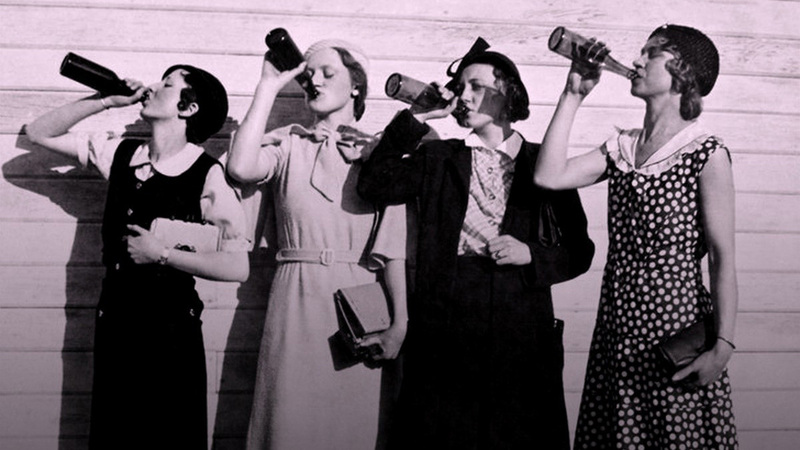 ), but a 2005 study found that older women who were moderate drinkers (1 drink a day) lowered their risk of mental decline by as much as 20% when compared to non-drinkers. Consuming a beer or two a day can help elevate levels of HDL, the good cholesterol that helps keep arteries clean and clog-free. According to a Harvard study, studies have shown that drinking moderately lowers your risk of heart attacks and dying from cardiovascular disease by 25-40%. However, drinking high quantity amounts of alcohol can cause your risk of heart disease to increase, so again, moderation is key. A study of 38,000 men found that when they began consuming moderate amounts of alcohol, their risk for developing type 2 diabetes dropped by 25%. Researchers found that alcohol can increase insulin sensitivity, which helps in protecting against diabetes. Beer has many ingredients and minerals, and now, because of a Dutch study, it’s been found that the beer drinking participants of the study had 30% higher levels of vitamin B6 levels versus their non-drinking counterparts. Beer also contains B12 and Folic acid, so drink up and giver your body a boost at the same time! This blog is the first in a 2-part series. 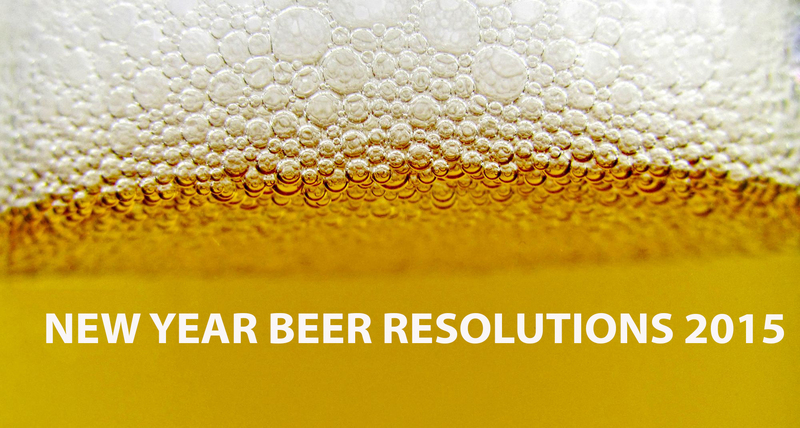 Stay tuned until next month for the rest of the list, and find out more ways beer is healthy for you! Brewing is a tough, fun, and, although we don’t want to think about it, a dangerous business. Dusts and particles can be flying everywhere, fluids spraying around, and you are working with large mechanical equipment – Things can go wrong very quickly, which is why safety should be a key component to any brewery. Can Never Be To Safe! Establishing a strong safety environment and procedure within your brewery isn’t only great for your brewery and employees, but it will create a better craft beer industry in whole. 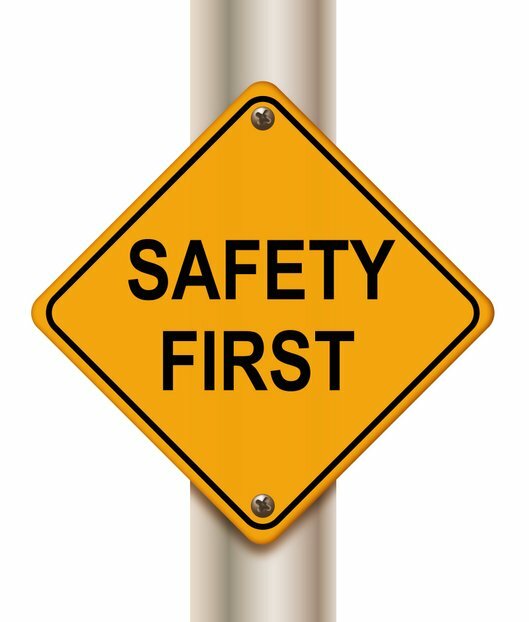 There are many components to making a stronger safety environment within a brewery, and creating a better ‘Safety-Culture’ (as described in the Brewer Association’s New Brewery Safety issue that was released last year) whether you are a brewery that has been around for years, or just opening your doors, is a critical part of being a strong operational brewery. Remember, Safety first, then comes the fun! What are your safety regulations now? What could you do to make your brewery a model for brewery safety? Set a benchmark and aim higher for how safety is addressed, performed, and talked about in your brewery. For each portion of the brewing process, there are different safety concerns that may need to be addressed. Be sure to walk through each process you perform, and create a procedure on how to do it safely. Make sure the procedures are in a place that all employees can see or read, and make sure people know where they can go to ask for questions or demonstrations. You may have your own safety measures, so just because someone performed something one way somewhere else does not mean they will know how to do the same at your brewery. See someone doing something wrong or right? Ensure to talk to employees about something they should improve on, or something to exemplify so everyone on your teams is on the up and up. One area in particular to pay attention to how safety is addressed is cleaning. Numerous areas and equipment of a brewery need to be cleaned, do you know how to do it safely? There are confined spaces, chemicals used, and it can be a matter of life or death (don’t want to be to strict or harsh, but it’s true) if safety measures are not intact before performing any cleaning act. Be sure know how to clean your brewery properly, and safely, so you can keep your brewery chugging along smoothly. Safety is something quite important, so don’t feel you can take it to seriously. Changing your outlook and behavior in a brewery when it comes to safety can be tough at first, or can cause some confusion, but don’t be afraid to reach out to informative materials or people to ensure you are doing everything you should to keep your brewery safe for all you come in contact with it. So, go forth and brew safely!